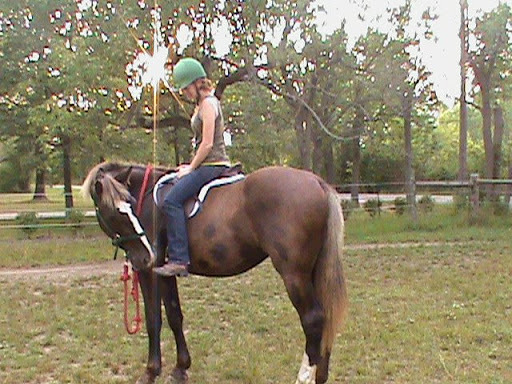 When I bought Robbye, I was determined and excited to train her. I thought I knew what I was doing, to a certain extent, and didn’t have any lofty goals. 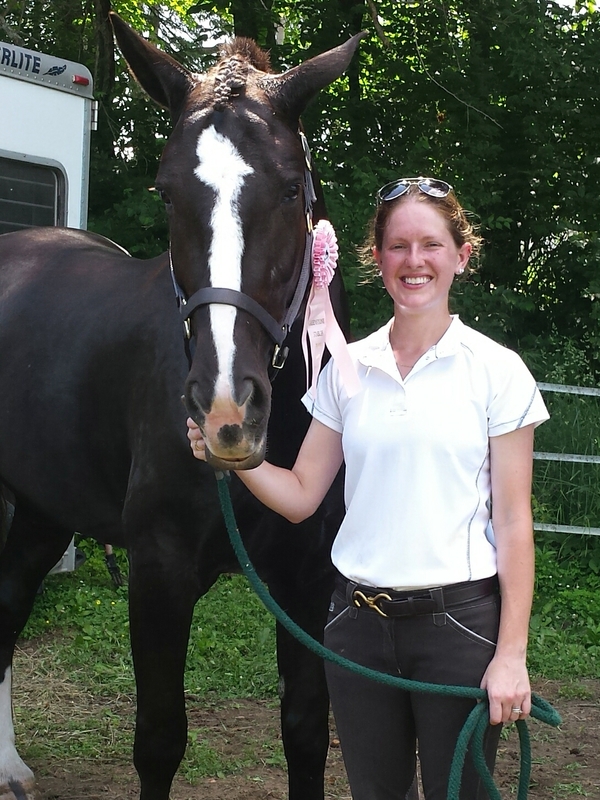 I wanted a horse I could enjoy riding in local shows, and maybe do a BN event once a year or so. But a combination of Robbye’s personality and my own ruined those carefree plans. She’s too stubborn and work-averse to learn quickly or easily for my really-really-amateur experience, and I’m too goal-oriented and hard-working to remain content at local hunter shows. 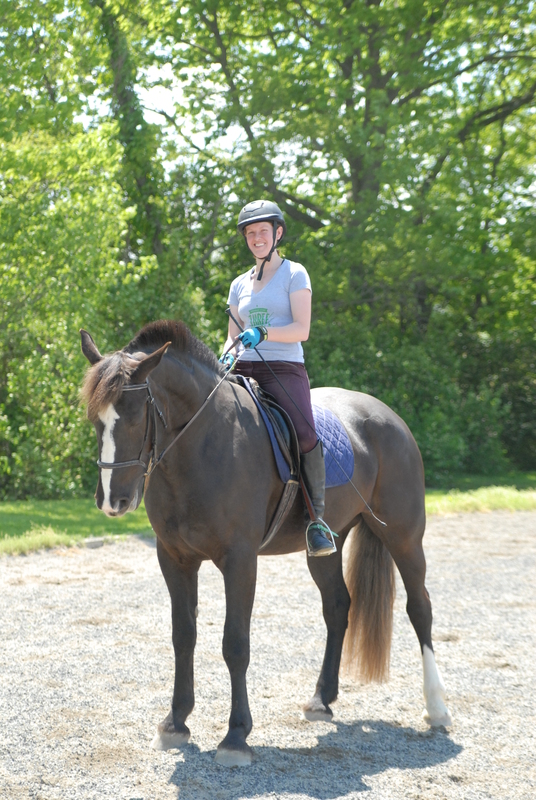 Plus, I got bit by the dressage bug – something I never expected. So we started learning dressage. And…kept…working. For two years we’ve struggled, and made little progress. I’m too much of a noob and not nearly aggressive enough to counteract her personality, and she’s too hard of a ride for my inexperience to thwart. From July 23 to August 11 I rode exactly zero times. I’ve lost my motivation and my drive. Two years is too damn long to struggle with so little fulfillment. I went from riding 5 or 6 times a week to riding once in a month. I didn’t have a plan except that I needed a break. PINK ISN’T GOOD ENOUGH. AUGH. I’m so frustrated with myself. Then Kim made her case for training, and it sounded like a godsend for me. Robbye would move to her place, so I’d get a break from the daily chores and daily driving. My silly mare would also get the kick in the pants necessary to get us finally making some serious progress – and, hopefully, she’ll get some buttons installed that I’ve never used, so wouldn’t have any idea how to train! Best of all, Kim’s training comes with two lessons a week for her students. And not on Robbye – on her own horses. Schoolmasters. So Robbye and I can be learning separately, and then at the end, hopefully, we’ll be able to make a good team again. I’ve been too proud to put Robbye into training. Or…maybe that’s not it. Maybe I just felt like I’d lose the satisfaction from training her all on my own, and that riding and showing would lose all of its pleasure for me. But I’ve reached that point anyway, so there’s nothing left to lose. I know that I’ve misplaced the heart for horses I’ve been living off of for the past three years…but I’m feeling optimistic that a month or two of boot camp will be just what I need to get it back. This sounds like an awesome training program. I want twice weekly lessons on schoolmasters. I hope the training helps get you both back on track. Such a great plan! I bet you will both get a lot out of it. I think is a great plan! Sometimes that little extra time with training can really do the trick! Sounds promising! It’s clear that you’ve been working super hard at making steady progress. Hopefully this program will be the boost needed to get Robbye to the next level!! Annnnnd. Honestly? I would have saved myself a lot of grief and drama and hardship if I turned over the reins more often to work through the hard things. I get no special buzz from being primary trainer and I never felt like a failure riding horses that other people trained. Enjoy the training and the lessons. 🙂 They’re worth it. This was obviously a very thoughtful decision and I think you are going to just love it! Must be something with the draft crosses! My girl and I have certainly had a lot of ups and downs. Amazing what a difference a good trainer can make!